Perched on the jagged rim of the crater, wreathed in morning mist, camouflaged in river-stone and cloaked in indigenous creepers, the Ngorongoro Serena Safari Lodge is a triumph of ecological and architectural fusion. Sensitively constructed so as to take nothing from its environment whilst affording endless vistas over the heat-shimmering reaches of the crater below, the clustered boulder-built buildings of the Lodge hug the crater rim, linked by rope-lashed timber walkways that skirt the buttressed roots of ancient, liana-hung trees. The interior, radiating out from the primeval log fire glowing at the heart of the Lodge, blends the concentrated hush of a game-viewing hide with the ochre, rust and charcoal images of a prehistoric cavern. Lit by flaming wall-lanterns, clad in gigantic volcanic boulders and decorated by the iron spears, bright-beaded robes and intricately carven artefacts of the Maasai, the Lodge is a unique blend of world-class luxury, timeless volcanic splendour and ethnic style. 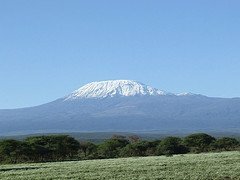 As for the views, from lilac-streaked sunrise, to indigo star-studded night, the immeasurably ancient Ngorongoro Crater delivers a theatre of vistas, most unchanged since the dawn of time. 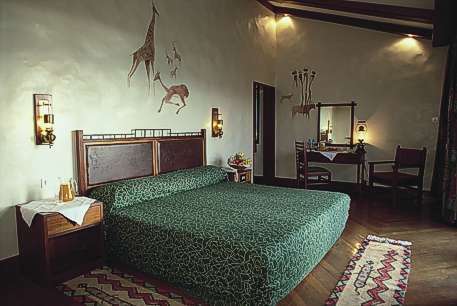 Strung around the crater rim, each with its own rock-enclosed balcony, the rooms feature brass lamps, embossed leather headboards, wildwood mirrors, Maasai carvings and flamboyant prehistoric wall motifs depicting fleeing giraffes, stylised gazelle and plunging buffalo. Each room draws on a cave-grey, indigo-blue and jasper-red colour-scheme, is fully air-conditioned and enjoys uninterrupted views over the Crater's unmatched splendour. 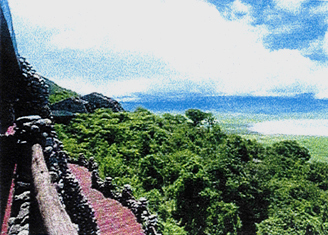 At the end of an action-packed day, guests can also follow a gentle nature trail that loops around the Lodge through moss-hung glades and plunging ravines, take a guided walk to the Crater's rim, relax with a herbal massage, or watch as the burning sun sinks behind the mountains from a unique vantage point on the craggy heights of the Crater's rim. 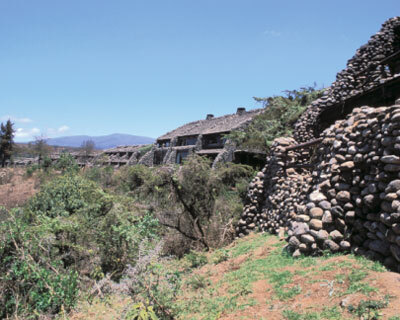 The Maasai-inspired, split-level dining and bar area features a two-tier wall of windows looking down on to the constantly changing vistas of the crater below, a traditional circular fireside meeting area, and a recurrent motif of massive 'prehistoric' cave paintings, stone-studded walls, Maasai spears and blazing jewel-hued wall lamps. The atmosphere is relaxed and candle-lit whilst the menu choices include traditional Maasai fare, long-time safari favourites and internationally themed menus alike. - An imaginative range of Crater breakfasts, barbecue lunches, atmospheric sundowners and vibrant cultural - entertainments. - Action-packed forays into the wildlife-teeming world of the crater. - A vibrant selection of traditional music, culture and dance. - The 'Serena Active' selection of high-action adventure activities. - Beauty treatments, massage and hairdressing. - Extensively stocked Africana Gift shop and Safari boutique. - Internet connectivity and a wide range of board games plus a full library of books on Africa. - Full housekeeping services (laundry, valet, babysitting on request, house-nurses on call, children's menus and dining, and shoeshine). Plus hairdryers and telephones in all rooms. - Full medical back-up and emergency evacuation facilities. - Express check in and out and 24-hour Forex facilities (check in time: 14h00 - check out time: 11h00).